As developer of Writing for the Soul Workshop™, I offer the program at no cost to youth in my community. This is made possible by the fine staff over at the Mary L. Kelly Center here in Kansas City. That’s how I met Kenya Williams. As part of the staff there at MLK, Kenya was the first person that I pitched my program to. She was excited that Writing for the Soul Workshop™ had made it back to Kansas City, and even more excited that the children that access programming at the Center would be the first to access the program. Launching the workshop takes lots of planning and coordinating, so I got to know Kenya. Besides that bright smile of hers that lights up any room she enters, there is so much more to her. Besides her service at the center, Kenya is also an entrepreneur. Here’s how our conversation went. After reading this, you’ll know why she joined our Associates Rewards Program. Eric, as you know I’m currently working as a programmer here at the community center, but a few months ago I found myself searching for a way to increase my income. My search lead me to Primerica. I learned that their mission is to teach people how to get out of debt, save money, send their children to college, obtain proper protection, prepare for retirement and become financially independent. Finally, I’d found something that could help me reach my goals financially WHILE helping others. I decided to start my own business with Primerica because I wanted to educate my generation about financial principles and how money works. I will never forget the moment I sat my mother down at the kitchen table and talked about retirement investments. At the age of 59, she had no clue about investing her money and how compound interest can work for anyone if it’s at a 9% or higher. This truly bothered me. If she’d started preparing for retirement while she was younger, it would have CHANGED her life -and also the situation she is battling financially right now. Eric, just imagine how differently my mother’s life would have been if someone educated her on how money works. Did you know you’re suppose to start saving for retirement at the age of 19? At Primerica the lowest you can pay into your investment is $50 a month which is awesome because most companies won’t even talk to you unless you have thousands of dollars. I realized that 95% of people are not on track for retirement or properly protected with the right life insurance. So I promised myself that I would make it my goal to educate that 95% of people -especially The Millennium Generation. Honestly, Kenya blew me away. 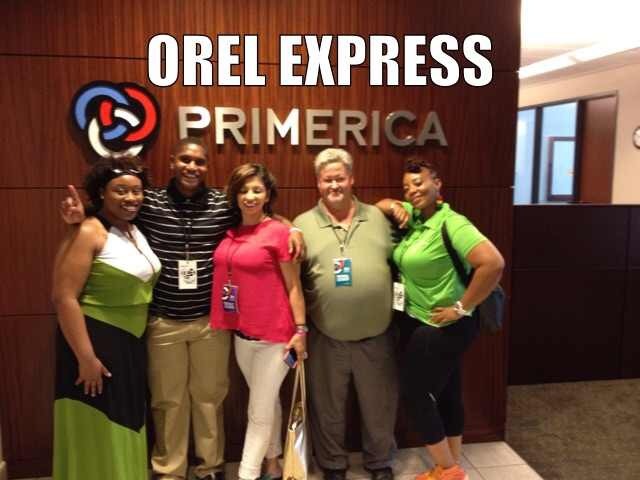 I wanted to know all about Primerica for me and my family, and I wanted Kenya to know that her goals in business aligned with our Associates Rewards Program. Building a lasting relationship with the MLK Center allowed me to get to know Kenya Williams the business woman. When asked what she loved most about offering Primerica to families and individuals, she said “The thing I love most about Primerica is that it caters to ‘middle income’ families.” If you’re like most people, you probably know little about personal finance. Perhaps you think long-term security is impossible on your income. But, the truth is, no matter what your income level, you can achieve financial security. You just have to take the time to learn a few simple principles about how money works. Please use the Contact Form below to receive a free, personalized Primerica Financial Needs Analysis.